Monotoca linifolia is an occasional shrub found in wet heathy vegetation on sandy soils. 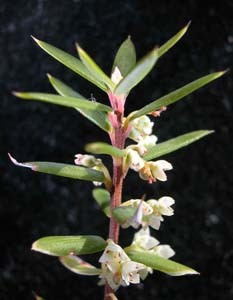 It is an erect shrub with narrow, but not sharply pointed leaves. 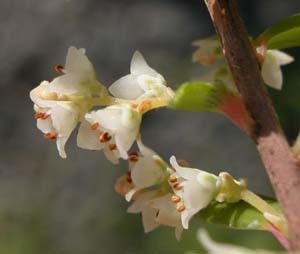 The flowers are small, cream, and in short inflorescences.